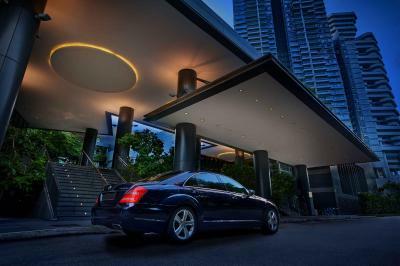 Lock in a great price for PARKROYAL on Beach Road – rated 8.6 by recent guests! Great front desk staff, took care of a problem right away, personally. Haven't come across that much at other hotels. 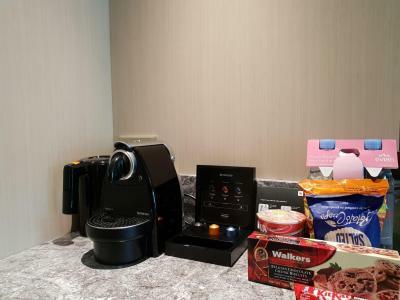 Good location and helpful staff, 5 minutes walk to two MRT stations. The bed in room 661 was great. 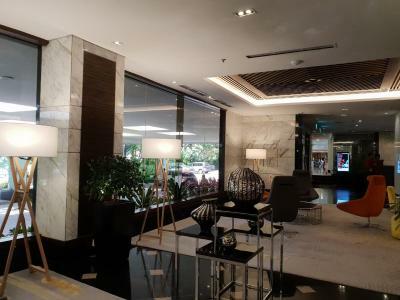 This hotel was in a good location, walking distance to Kampong Glam neighborhood and Sultan Mosque. Walking distance to Marina Bay Sands area was within walking distance, but we took a cab there a couple times for under $20 each time. The hotel was clean and had a nice pool with city views. The room was pretty spacious, and the bed was comfortable. The front desk staff member Raj was very helpful and friendly. The check in and check out was easy with no hassle. The staff were very friendly we even got an upgraded room. 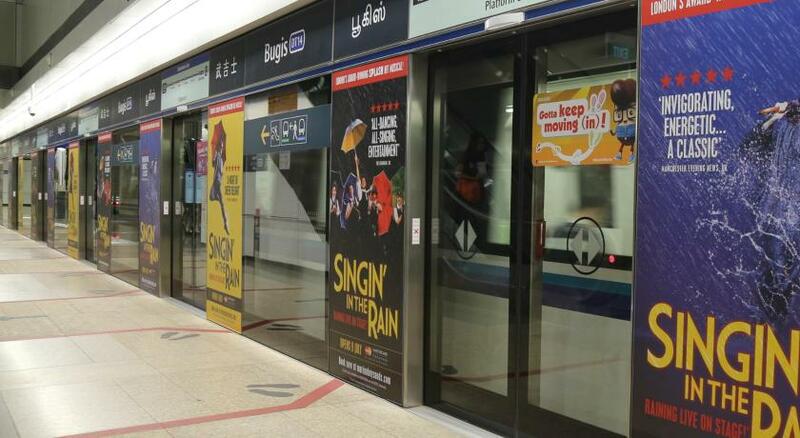 The location was close to both nicoll highway and bugis MRT. Truly a pleasant stay in this hotel. Room clean and comfortable. Bed is soft and big enough. Great staff, fantastic concierges, beautiful pool area and facilities to change when waiting for the room. Great hotel. Right next to Haji lane. Stay on 6th floor, very friendly and helpful staff, good breakfast, no waiting line separate check out service. value for money. Everything was amazing . From the door service entering the hotel , concierge , the room was amazing , bed was comfortable . The rooftop pool , gym , and spa . I got breakfast and it was decent . I have zero complaints . Singaporeans where very welcoming and made me feel like a celebrity. PARKROYAL on Beach Road This rating is a reflection of how the property compares to the industry standard when it comes to price, facilities and services available. It's based on a self-evaluation by the property. Use this rating to help choose your stay! 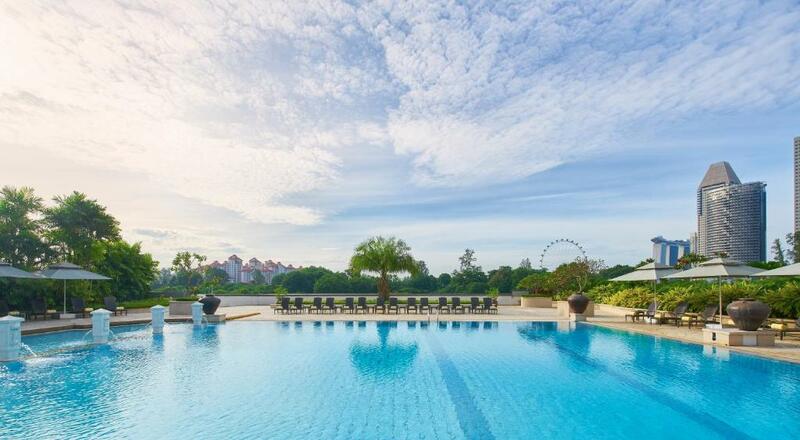 One of our top picks in Singapore.PARKROYAL is located along Beach Road, a 5-minute drive from The Esplanade and Singapore Flier. 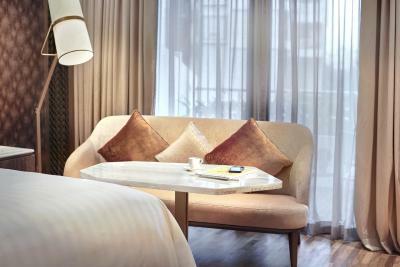 The hotel offers an outdoor pool, award-winning Chinese restaurant and luxurious spa services. Free WiFi is available throughout the hotel. 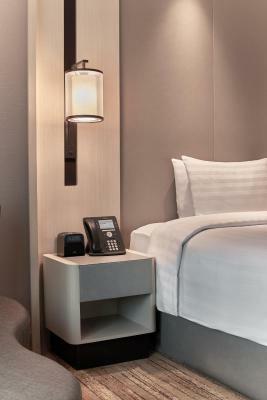 Featuring modern decor, all the nonsmoking rooms come with free wired internet and spa toiletries. A mini-bar, cable TV and personal safe are included. 24-hour room service is available. PARKROYAL on Beach Road is a 25-minute drive from Changi International Airport. 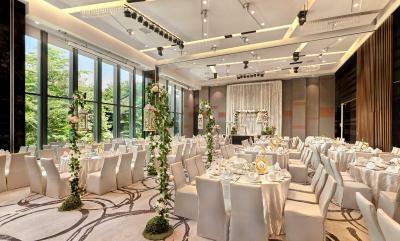 It is a 10-minute walk from Bugis MRT Station and Suntec City Convention Center. 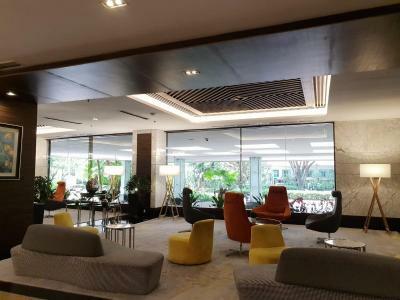 The hotel is also a 5-minute walk from Nicoll Highway MRT Station and one MRT stop away from Singapore Sports Hub. Complimentary scheduled shuttle services to Raffles City Shopping Center is available. Si Chuan Dou Hua Restaurant serves authentic Chinese cuisines, while Ginger at PARKROYAL on Beach Road offers the best of Chinese, Malay, Indian and Peranakan cuisines. Drinks and entertainment are available at Club 5 and the Coffee Lounge. When would you like to stay at PARKROYAL on Beach Road? 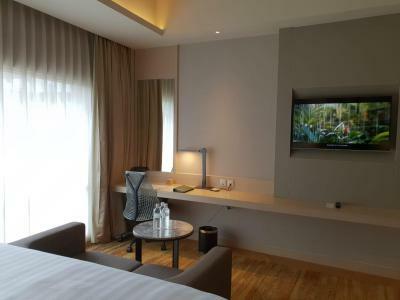 Non-smoking classic rooms have a 26-inch flat-screen TV with cable channels, ironing amenities and ample workspace. 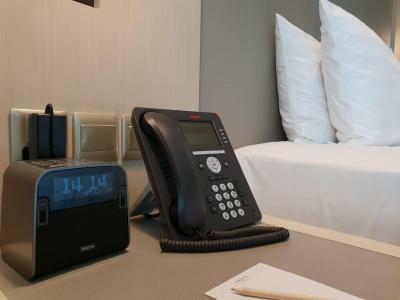 In-room safe and free wired and wireless internet are available. Guests are entitled to a 15% discount at all of the hotel's dining venues. 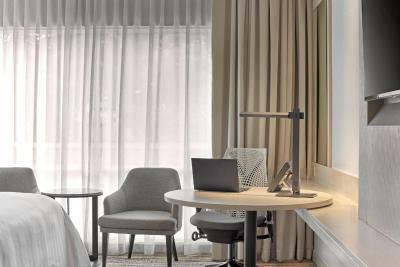 These luxurious, nonsmoking rooms offer a flat-screen TV, a reclining chair and spacious work space. Guests enjoy access to Orchid Club Lounge where Orchid Club butlers are on hand to facilitate guests’ requests. Please note that to access the Orchid Club Lounge, guests must be aged 12 years and above. 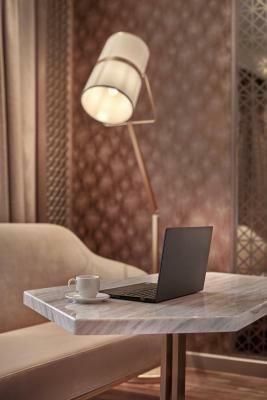 On floors 3, 4 and 5, these non-smoking classic rooms include a 26-inch flat-screen TV and ample workspace. This suite has air conditioning and executive lounge access. 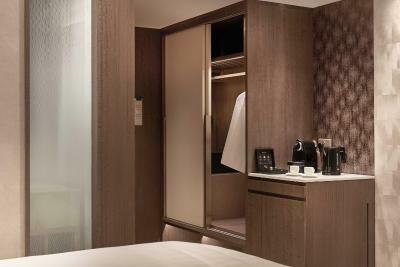 This triple room has a electric kettle, mini-bar and bathrobe. 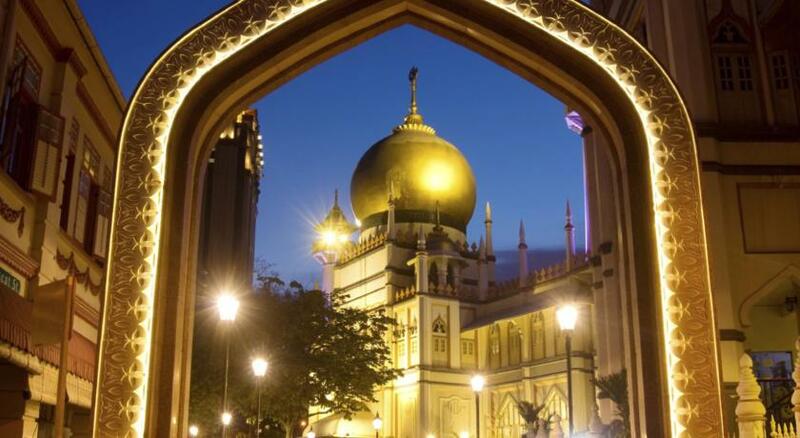 Right across from the hotel, visit the many stylishly independent boutique shops on Arab Street and the charming Haji Lane or visit the Malay Heritage Centre to uncover the history of old Malay royalty, history and culture. House Rules PARKROYAL on Beach Road takes special requests – add in the next step! PARKROYAL on Beach Road accepts these cards and reserves the right to temporarily hold an amount prior to arrival. Please inform PARKROYAL on Beach Road of your expected arrival time in advance. You can use the Special Requests box when booking, or contact the property directly using the contact details in your confirmation. Good location. Simple and easy. Value for money. My wife and I stay at the Parkoyal Beach Road two or three times a year, we have been doing this for the last four and a half years. 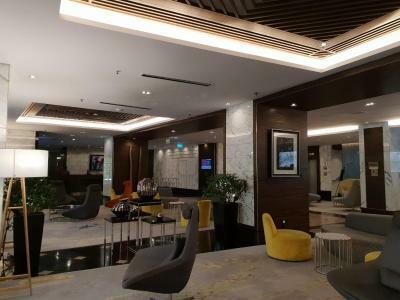 We choose to stay in Orchid Club and find it great value for money,the club rooms have just been refurbished and the staff at the hotel from the Orchid Club to the Porters are excellent .The location is perfect and would recommend the hotel in the highest manner. Only hotel we stayed in that wasn’t able to facilitate early check in despite requesting quite far in advance due to arriving early from airport. Did provide us with access to pool in meantime though! Few minutes walk from MRT and walkable to raffles hotel for a Singapore sling! Clean, nice room. Expensive. Luggage boys too active, annoying. Late check out was possible. We had a midnight flight. Good breakfast. If not late check out, possible to use the pool, dressing room and lockers after checking out. Also early check in! at the executive lounge breakfast was excellent and the staff very friendly and helpful. The hotel staff knocked on the door twice, quite early in the day asking whether we had laundry, when we were still asleep. I always assumed that hotels do not knock on the door asking for laundry, but then this out of my experience. Room was clean. Even the cleanup the next day was done very fast. Very convenient location. Easy access to food. Just opposite Haji Street, so a fantastic place to just chill. Wait to check in, even though we had arrived after 3pm (i.e. the hotel's check in time). That was a little irritating. Tried Spa - we were surprised no one, not the receptionist who welcomed us to buy the service, helped with the luggage up the stairs. On arrival, no one helped with the luggage up the flight of stairs at the entrance either. The ground floor staff who sent us upstairs to do orchard room check in didn’t help with luggage too - they did ask how many luggage we have but didn’t help? Couldn’t quite understand. Overall, need to make hotel guests more welcome to stay. Cosy place with a lounge that offers food and drinks. Staff tried to serve promptly. The room service call was promptly answered too. Items at breakfast were not replaced as often as they should have been. Our room was not cleaned one day when we were out, so had to call housekeeping. One evening we returned at around 10 p.m. and a number of rooms in our corridor had plates and trays used for room service put out for collection. They were still there are 8.30 a.m. the next morning. Nothing disastrous, but overall not the attention to detail you expect for a hotel at this price. Food and drink was overpriced and very below average. $9 for a sub standard cappuccino is $3 more than 5 star hotels in Singapore. Rooms were not cleaned well during our stay. Rooms were good value and linens excellent quality. The front door staff very welcoming. The pool was great!